Doctors and Dentists: Oh My! What an amazing world the New York addict inhabits: Self-Diagnosis, Self-Prescription, and Self-Dispensing drugs. When a recovering New Yorker is fresh out of rehab or detox and finds a new pain or symptom, the most dangerous place on Earth is a doctor's office. This Sober Coaching Forum is neither the time nor place for an anti-drug company/anti-insurance industry diatribe; it suffices to say that doctors, especially in New York, are under an inordinate amount of pressure to quickly diagnose your problem, and even more pressure to quickly prescribe some medicine. How do you talk to your doctor about your substance abuse? 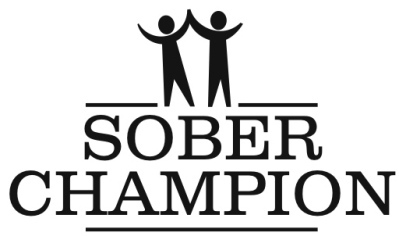 A Sober Coach can help provide you the language and hands-on assistance. We have been on the phone with more than one snooty Manhattan receptionist until we get to the one person who usually doesn't understand you: your doctor. How do you talk to him or her about your fears of relapse? A Sober Companion can be in the office with you, helping you find the words and the strength to get to the point. How do you find out exactly what these pills they give will affect you? Both Sober Coaches and Sober Companions from Sober Champion have years of experience with medicine (the good kind and the bad kind). If we don't know exactly what a given drug will do, we will consult with an on-staff MD or RN to find out. Every Sober Coach and Sober Companion from Sober Champion has been through the wringer with doctors, dentists, and pharmacists. If it involves a prescription pad or some "sample" medication, we have been there. In prior attempts at recovery, almost every one of us has experienced a relapse occasioned by a seemingly innocuous visit to a healthcare provider. We now know, through years of practical experience, exactly how to avoid the traps laid by the disease of addiction. Your Sober Coach will help you find the language and the willingness to be open and direct with your health care provider. Our clients often use a Sober Companion for their first visits with a doctor or dentist. Every member of the Sober Champion staff has been through this dilemma. In years past, each of us has begun a relapse in a doctor's office. We know what to say - and how to say it - so the message is clear: we stay clean, no matter what!